since 2006 . . .
At Highway Stars, we believe in providing the best service, & quality for your restoration needs. Our products are photographed and stocked in our facility. You can be confident, that your product will arrive to your door in the best possible way. We take time to inspect every item (even down to the threads on a screw) before it gets placed in your box, then packaged with extreme care, before leaving our facility. Our website displays our products exactly how you can expect to receive it. You can be confident that you selected the right product, and the right supplier. If a product doesn't meet the "Highway Stars standards", we simply wont sell it. It's that simple! At Highway Stars, you can experience outstanding: QUALITY, SERVICE, & INTEGRITY. Highway Stars is committed to protecting the privacy of our users. We use industry-leading technology (such as SSL) to keep your information safe. Our secured processor (we employ the paypal processor) encrypts your confidential information in transit from your computer using the Secure Sockets Layer protocol (SSL) with an encryption key length of 128-bits (the highest level commercially available). If you would like to place an order with Highway Stars, to ensure the highest level of security and quality, you will need to enter the order through our WEBSITE using your computer or electronic device. Our website is optimized for mobile devices. We accept most major credit cards. as well as paypal through our website. If you do not have access to transmit the order via a computer, please contact us regarding an alternative payment method (USPS Postal Money Order). For security, accuracy,timing reasons, we strongly urge our customers to enter their own order via the website. As of November 1, 2016, all domestic customers requesting to place/call in an order via phone, will incur a $6 processing fee. 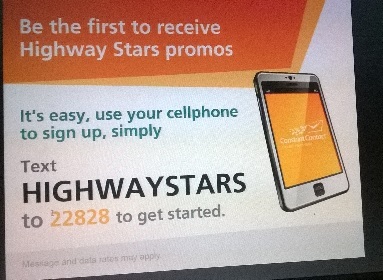 You may browse our website as a guest, but if you would like to make a purchase, all customers must create an account via the Highway Stars website. When creating your customer account, you will need to have a valid email address and a unique password (passwords must be at least 7 alpha-numerice characters in length). If you choose not to create an account (by remaining as a "guest"), you will not be able to successfully complete your purchase through the website. If you are unable to enter your order through our website, please contact us for further assistance. We DO NOT recommend using Internet Explorer when browsing this website. There are known issues with Internet Explorer, that will result in user viewing errors and missing information. We recommend that you ONLY use either: Google Chrome, or Mozilla Firefox for this website. This is the busy season for Highway Stars. Although we are processing an increased amount of orders, each part in every order still receives a thorough quality inspection, so we can assure that Highway Stars customers receive the highest quality parts available. This quality inspection takes time, so please be aware that most orders once placed and paid for, will be processed in approximately 3-6 business days. Larger orders may take longer. All orders are processed in the same order as it was received.Please allow additional time for shipping. We appreciate your patience and your business.